Allah did not create us in vain, He has a purpose for us. Now, it is our responsibility to find that purpose. 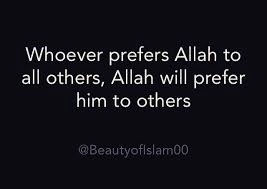 We are all Muslims, Allah favoured us by making us born Muslims and some of us may have converted to Islam after realizing that it is a beautiful religion. At one point or another in our lives we all had an urge to do something for our community, but our hands were full of responsibilities. We not only had no time for social work, but no time for our family or ourselves, because we were just too busy. Why are we so busy? Because, we are much too involved in duniya (World) and accomplishing those tasks, which will not satisfy us after they are finished since they are not for the sake of attaining Allah’s love, they are for our nafs, our desires, our wants. Please listen carefully, with an open heart; did you perceive that peace in your heart when your desires were fulfilled? Perhaps, your answer will be “YES”, but the truth is that no sooner do we attain that peace; we usually lose it, because it’s for our nafs and not for Allah. Now, try doing a task for the pleasure of Allah and to attain His love. We will feel that sakinah (peace) in our hearts even if we do not accomplish it, because we are doing it for our Rabb who created us, beautified us, loves us the most! 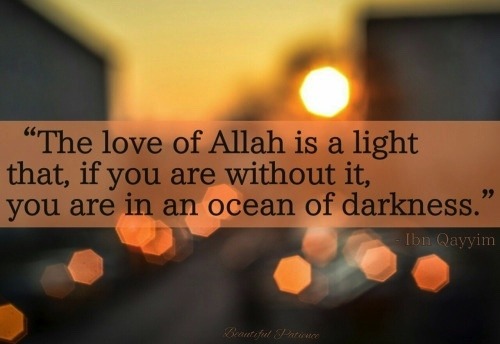 So, how do we instill the love of Allah in our hearts? This is a difficult question to answer. We can develop Allah’s love in our hearts by obeying him, reciting and understanding the verses of the Noble Quran, pondering over His creation, and by thanking and praising Him all the time. Thanking and praising Him doesn’t mean that we get a bead of strings and keep doing tazbi, so to become “religious”. In reality, we need to make lots of Du’a, focus on our day-to-day activities, and we need to question ourselves by doing serious self-analysis every time we get a chance to be alone. Doing small things on a consistent basis makes an immense difference, such as reciting Du’a for routine activities and doing the things that please Allah most. You can praise Allah and thank Him by following simple Sunnah, which Rasoolullah (S.A.S) taught us, like the Du’a before and after drinking water and Du’a before and after eating our meals. 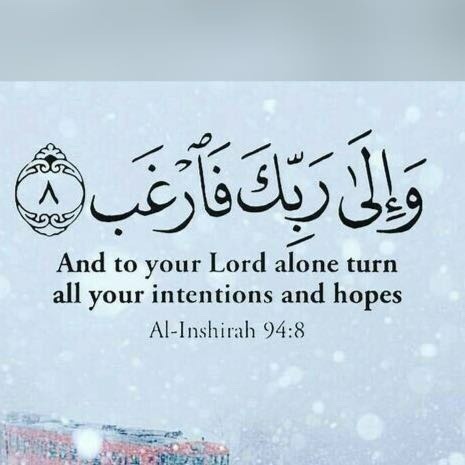 Moreover, saying Alhumdulillah for all the blessings we have, performing regular Salah, giving Zakat, fasting and such would be very beneficial in creating a lasting connection. I would love to talk about our parenting styles as well. Children are such a blessing and a source of peace that most of us miss out on. We want our children to be first in everything, we want them to be first in all the duniya matters, but not the deen matters. I know many of us want them to excel in deen too, but are we working towards it or are we too busy fulfilling their wants and wishes? Our kids don’t need toys, they want our attention, our appreciation, and above all they want us to love them. 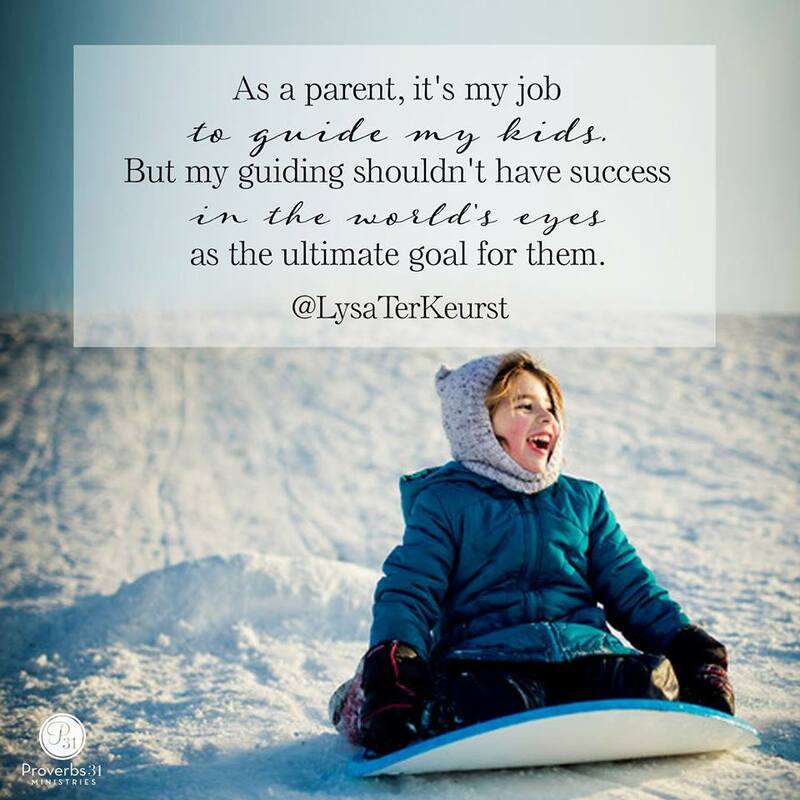 Whenever our kids come to us for our attention, it’s a golden opportunity to talk to them, to ask them what’s going on in their lives, appreciate them, show them love and try to answer their questions or give them genuine advice on the challenges they face. We are a living example for them. They see the world through what we show them. We can make them strong by helping them to overcome their mistakes and to be productive in life. We should talk to them about our good experiences of life and the lessons we have learned. Give them a positive outlook of us, so that they know where to turn when they need help. And, when they do come to us, we must introduce them to Allah, teach them how to ask help from Allah, how to be sincere and humble in their Du’a and how to ask for forgiveness. Believe me, they will thank us for telling them about Allah and His Greatness. We have to tell them to give first priority to Allah alone and how everything comes after Allah. But, saying this is not enough; kids are very intelligent nowadays. For example, when we ask them to do Salah, they may say, “But Mom you don’t do your Salah,” so now comes our role. We must change ourselves and try to do everything for Allah, so that our kids too will learn from us how they can give first place to Allah in their own lives. Then when we start giving first priority to Allah in our lives, everything will start to change, because we are changing ourselves and this is the first step towards attaining Allah’s love. When we do each and every act for Allah alone then we will feel that peace in our hearts, which we were searching for somewhere else. 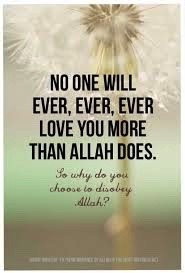 Then we feel like everything is going according to our wishes, but really that’s Allah’s love in our hearts that is making us feel that way, because we start to accept whatever happens in our lives with gratitude and we stop loving ourselves and start loving Allah alone. When we start doing all the things that Allah wants us to do, we finally find our purpose in life. All thanks and praises to Allah alone who gave me the guidance and chance to write this. Without Allah’s help, this would have been impossible. Sabiha Fahad holds a Masters in Biochemistry and resides in Toronto, Canada. She is currently focusing on raising her daughter to give her a proper Islamic upbringing while living in West. What brought her closer to Islam? This entry was posted in Inspirational, Uncategorized and tagged adversity, Allah, awake, believer, build, children, compassion, courage, daughter, elevate, faith, God, Islam, love, mom, mother, Muhammad (PBUH), Muslim, muslimah, pain, peace, prayer, priorities, privilege, rise, sacrifice, salah, steadfast, truth. Bookmark the permalink.